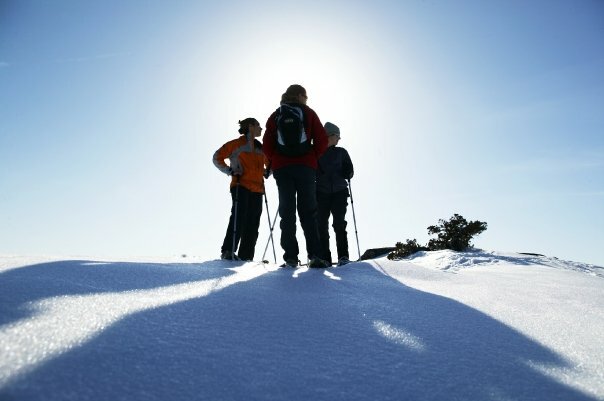 Snowshoeing and cross-country (XC) skiing are some of the most romantic forms of recreation to spend time with your loved one. Valentine’s Day is coming, so get away with your loved one(s) to a winter wonderland. Make some memories with some outdoor recreation and pampering that you deserve. XCSkiResorts.com features the top 10 favorite romantic resorts across North America. The Fairmont Chateau Lake Louise in Alberta is 125 year old resort with all the trimmings and places for romantics to enjoy each other and an outstanding rear-window panorama of the Victoria Glacier. With an annual snowfall of 12 feet a year, it is a prime snowshoeing location and scenic destination. Try out snowshoe adventures such as Powderfest Snowshoeing to tour into the forest to look for animal tracks. Or take a Night Owl Snowshoe tour and explore the forest at night. If the conditions are right, look above at the constellations in the night sky. After an exciting day of exploring, relax at the spa on site or indulge in an enriching fondue or fine dining experience. The Franconia Inn is a charming country inn located in the White Mountains in New Hampshire, with breathtaking views of the nearby mountains and intimate trails. The inn offers the “Romantic Interlude,” which includes a bottle of champagne, four-course gourmet dinner and a full country-inn breakfast. There are 45km of cross country ski trails on site, which also offer opportunities for snowshoeing. Galena Lodge in Ketchum, Idaho has the “Honeymoon Yurt,” which is a love nest that’s only 20 minutes out on the trail. Couples can enjoy the backcountry accommodations in comfort themselves at the yurt. Or get dinner delivered, and maybe even a massage for two. 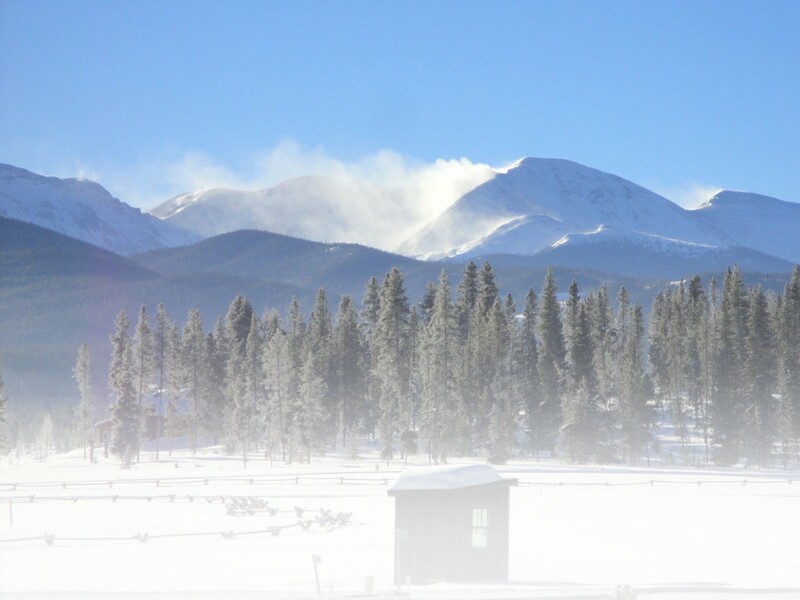 When not relaxing, register for a guided snowshoe tour of the area and see more of Snowshoe Magazine’s Number 2 Snowshoe Friendly Nordic Center. 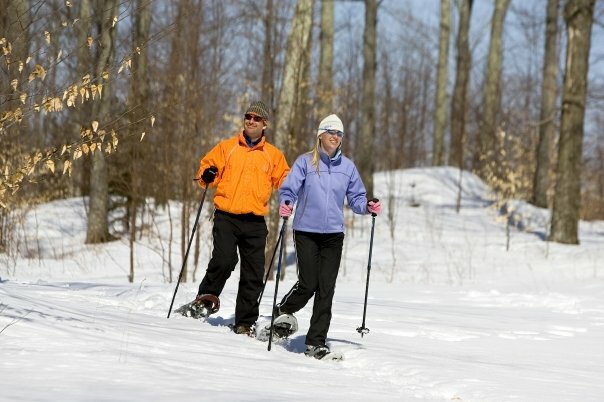 Couples can also enjoy a complimentary snowshoe hike 3 days/week! Lone Mountain Ranch in Big Sky, Montana is near Yellowstone National Park. 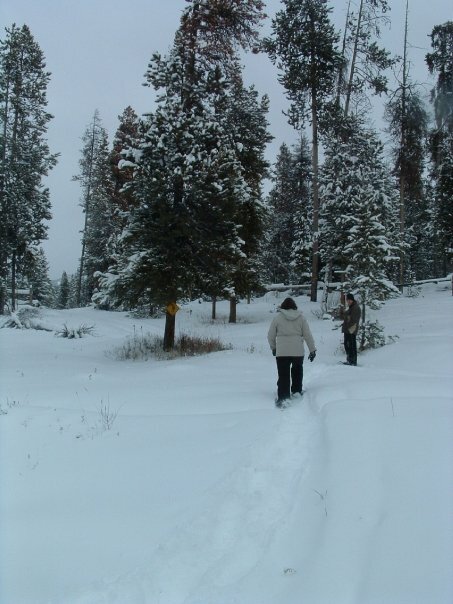 The 30 km of snowshoe trails throughout the ranch can be explored on your own or with a guide. Guided excursions are available at night, and by the light of the moon. The ranch has cozy cabins, a lodge with great cuisine, and massage services. Throughout all of this, the staff treats all of its guests warmly. Check out Snowshoe Magazine’s warm and welcoming experience at Lone Mountain Ranch. Mohonk Mountain House in New Paltz, New York is a Victorian castle within an hour of New York City with free use of snowshoes, XC skis, or ice skates. Snowshoe trails and while playing disc golf, or climb the Sky Top Tower for a 360-degree vista. Mohonk Mountain House offers a Special Occasion’s Package too. This package includes a welcome gift, complimentary bottle of wine, turn down service, breakfast in your room and more! The spa offers instruction for couples specific massage. The Mountain Top Inn is buried in the Green Mountains in Chittenden, Vermont, where you can sit fireside in the restaurant with a wonderful menu or in the pub with live entertainment. Enjoy 60km of snowshoe trails with a lunch prepared by the Mountain Top Inn chefs. Sled on the hill behind the inn or enjoy a horse-drawn sleigh ride. The Winter Moonlight in Vermont, Two Night Getaway includes the sleigh ride, along with a romantic 3 course dinner and 2 one hour relaxing massages. The inn is Snowshoe Magazine’s Number 7 Snowshoe Friendly Nordic Center. The Nipika Mountain Resort in Kootenay, British Columbia is a secluded lodge and cabins. Couples are transported to the site, which is situated in 8,000 acres of wilderness with 36 feet of guaranteed snow. The resort is the ultimate eco-resort without high altitude problems. As part of your stay at Snowshoe Magazine’s Number 3 Snowshoe Friendly Nordic Center, enjoy a 2 hour guided snowshoe tour along the clifftops and rivers of the resort. At the Sun Mountain Lodge in Winthrop, Washington, there is a 360-degree view of tranquility with guest rooms and lakeside cabins. Partake in their extensive wine cellar, spa services or snowshoe adventures for couples. Several of their packages cater to couples like the Top of Mountain Romance Valentine’s Day Dinner or Diamonds and Pearls Wine Dinner. Vista Verde Ranch in Steamboat Springs, Colorado limits the number of guests to 45 so the staff can insure personalized attention. The warm, friendly staff members and personalized experiences allow for the ultimate opportunity to disconnect from the day-to-day stresses. The resort has received the Four Diamond Award. Couples get luxurious accommodations and can be accompanied by a guide in the backcountry to experience the ultimate romance. This entry was posted in Destinations, Features, Homepage Featured, New Canada, New Destinations, New North America, New Site, New United States by Roger Lohr, XCSkiResorts.com. Bookmark the permalink.